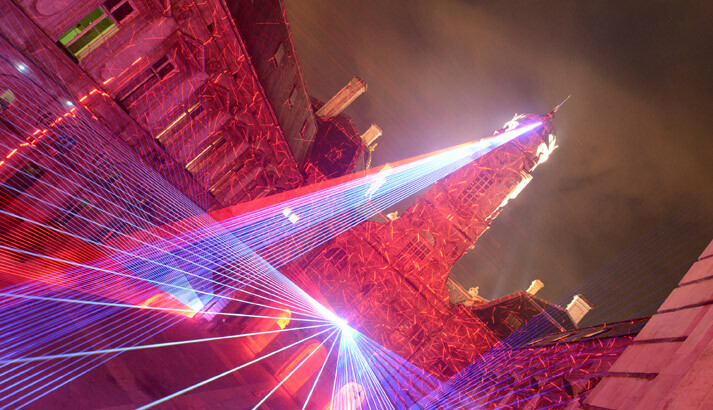 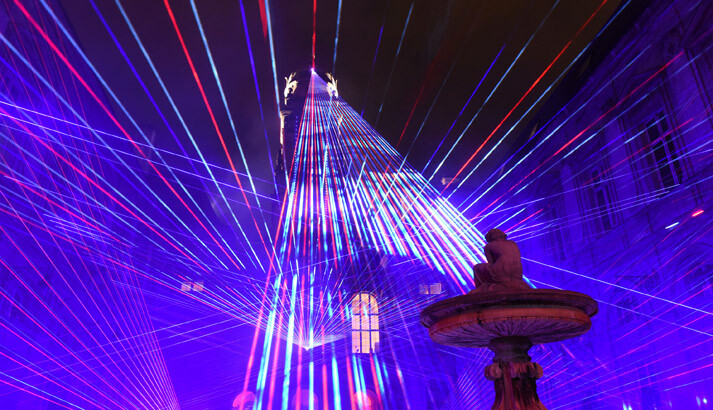 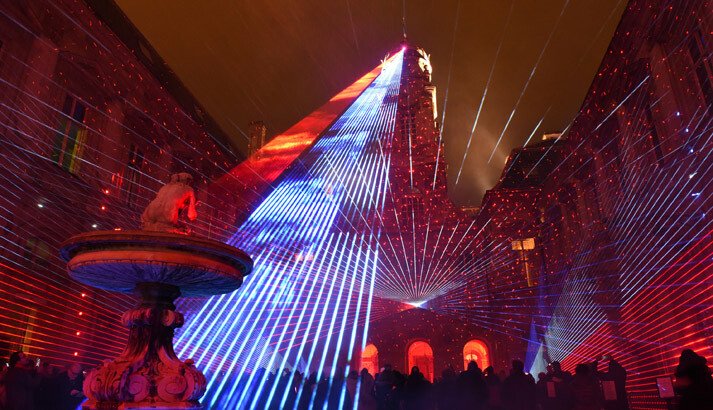 Visitors passing through the gates of City Hall are guided to the main courtyard by dancing beams of light. 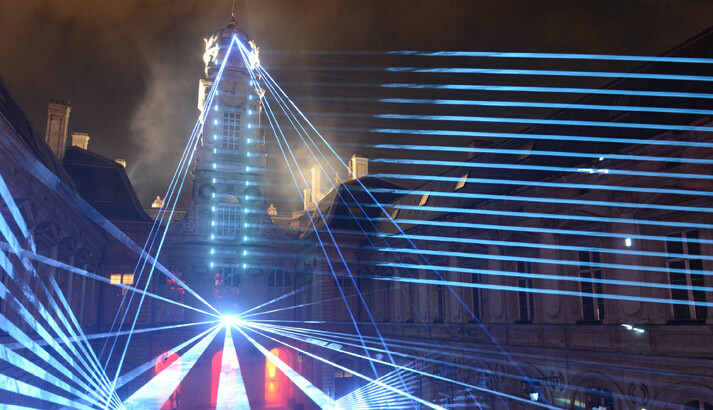 For the duration of the festival, the building is converted into a giant traboule, the secret passages particular to Lyon, to channel visitors from the Place de la Comédie to the Place des Terreaux. 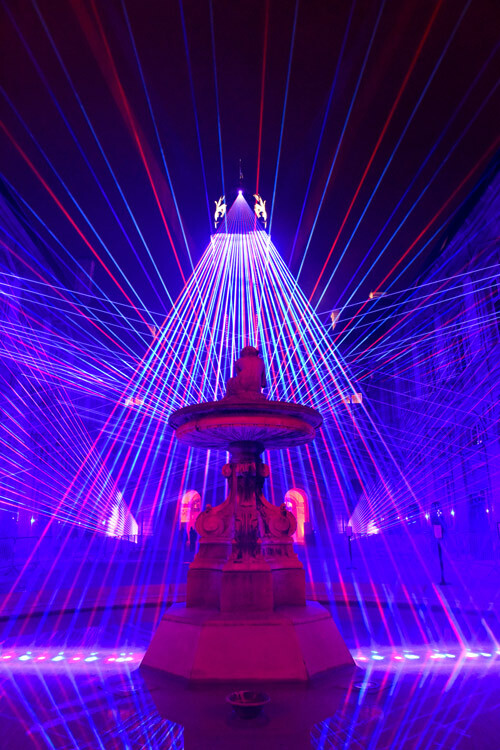 In a break with tradition, the spectacular light show is performed to the rhythm of a classical orchestral score. 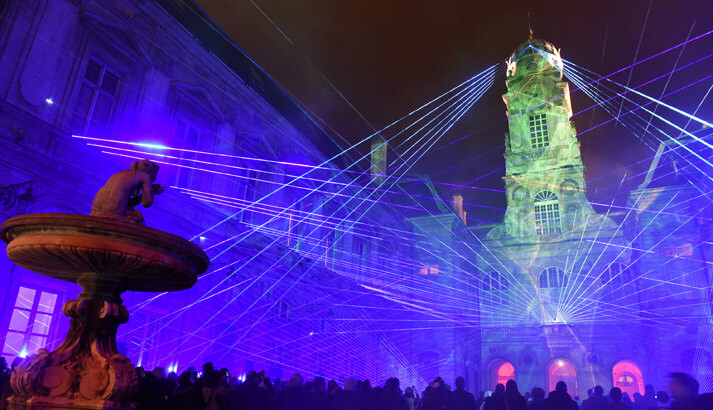 The lasers draw elegant lines and shapes in the air like delicate phosphorescent wires, underlining the details of this historic building in a glittery, romantic ballet in which light becomes corporeal.